A budget tells you where your money is going and helps you plan to spend it wisely. Start by calculating how much income you have each month, from work, child support, etcetera then, tally up your expenses, from ones that are due monthly, such as utilities and rent or a mortgage, to those due less often, such as taxes, car maintenance, etc. Also, be sure to include other expenses such as coffee runs, lunches with coworkers and other non- essential expenses. This will give you a clear picture of your financial state and help you see where you can save money. The first place to make cuts if you’re trying to save money is your non-essential expenses. Try making coffee at home or at work instead of buying one every morning, and reserve going out to lunch for Fridays to save on restaurant expenses. While it may not seem like much, making small cuts will help you save money, pay down debt and live well within your means. Creating a budget is only half the battle; the other half is tracking your expenses. Tracking helps you stick to your budget. Write your expenses in a notebook or input them in an app; either way, take the time to track your spending and you’ll always know where your money is going. 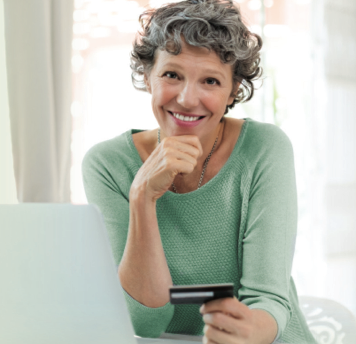 Contact your creditor to find out how to get current on the account. If you pay your debt in full, the balance will become zero and the account will be paid off. However, it may stay on your report for seven years after the date of charge off. The place to begin when improving your credit is with your credit history. You’re legally entitled to a free credit report from each of the credit bureaus - Equifax Canada and TransUnion Canada - as long as you request your free copy. 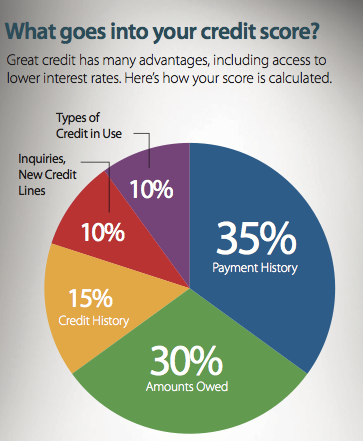 Reviewing your credit periodically allows you to see if there is information that may negatively impact your score. While you can do this online or over the phone, it may be best to do it through the mail so you can create a paper trail. If your dispute is legitimate, the credit bureau will investigate and give you a response. When assessing your loan application, lenders consider your debt-to- income ratio; that is how much debt you have compared to your income. The lower your ratio, the more likely you’ll qualify for a great loan. Start with the cards or debt with the highest interest rates first and, once you’ve paid them off, go to the debt with the next highest interest rate. Over time, you’ll have paid off your debts. You may be able to increase your credit limits on your credit cards if you’ve been a good customer. Call your credit card company to learn more. Opening several new accounts at a time may raise red flags for potential lenders. If you have trouble making ends meet, notify your creditors and see a credit counsellor.